Do you like bananas? Oddly enough, I don’t really fancy eating it on its own, but I love it when they are in banana cakes. 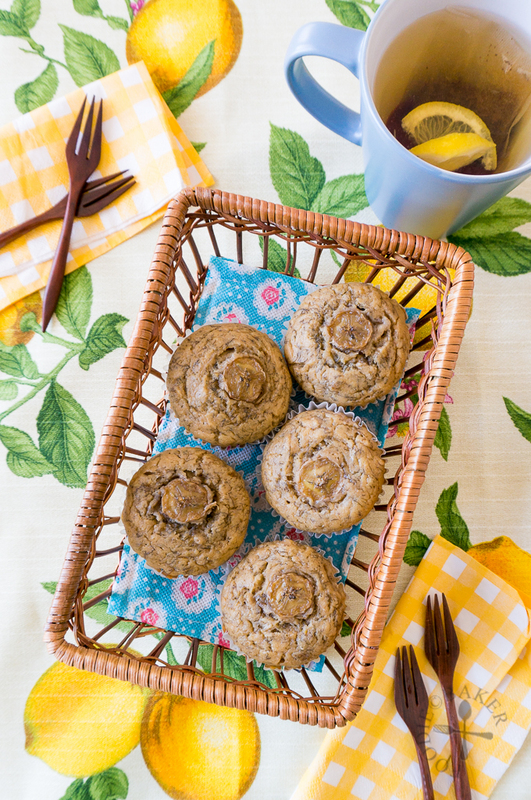 The original plan was to bake a banana loaf / bread / cake, but I didn’t have enough bananas and I didn’t want to get another bunch as the price of bananas increased by almost 50% at the local market, so naturally muffins is the way to go. 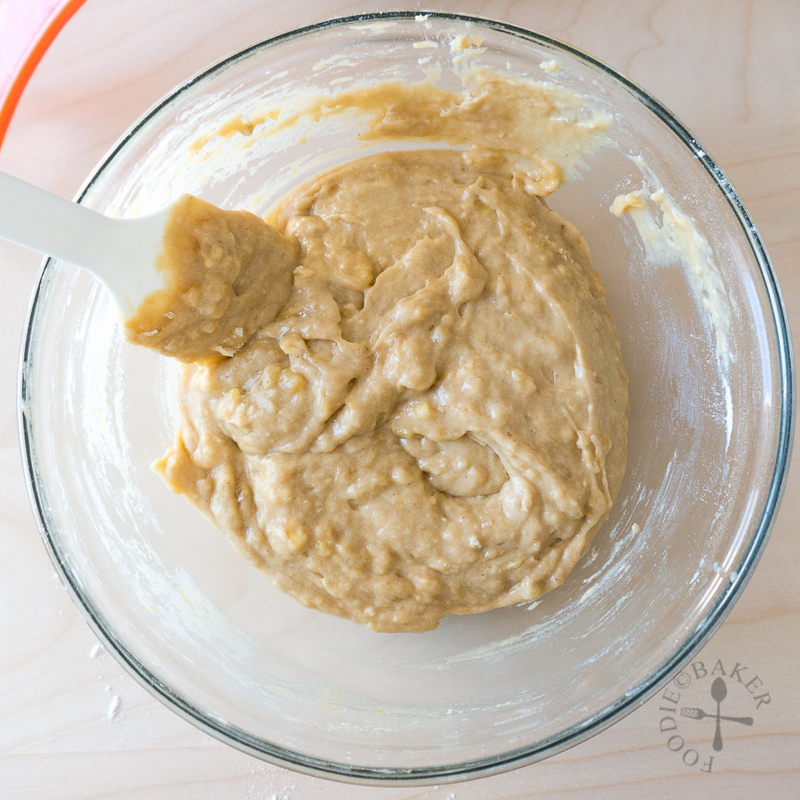 I Googled numerous banana bread recipes, and after a few comparisons, I decided on the one from Sally’s Baking Addiction as her recipe uses the most bananas (the more the merrier!) I made a few tweaks so that I don’t have to take out my hand-held mixer and omitted the spice and nuts, making the banana taste the main focus of the whole muffin. The only most cruel thing I have to ask is to not eat the muffins when they are out of the oven. Let them cool and still, don’t eat them. 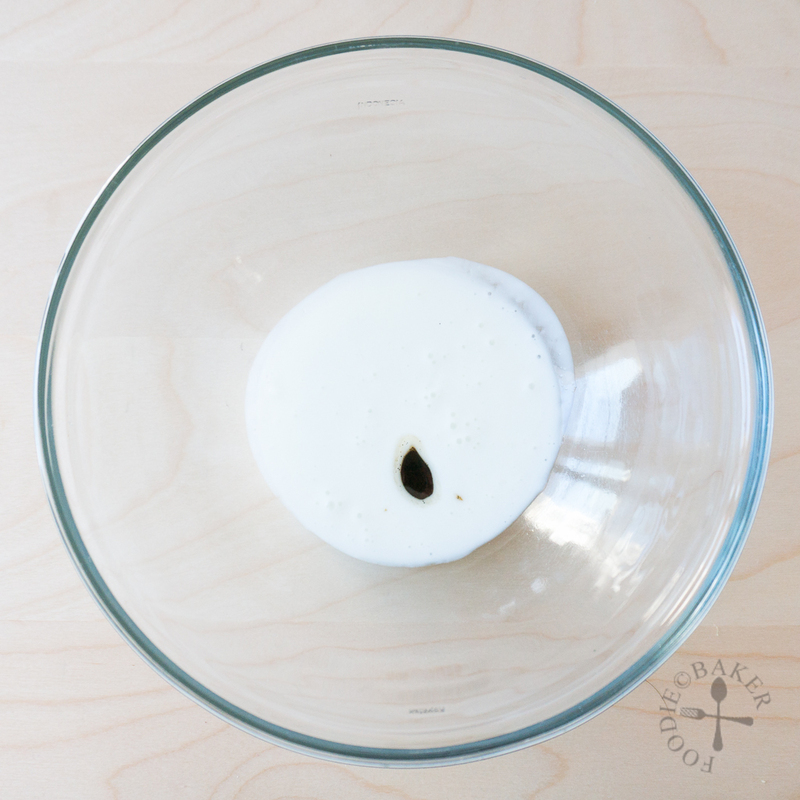 Transfer them to an air-tight container and let it rest overnight. Eat the muffins the next day, and you’d be glad you did because somehow after a night’s rest, the banana taste will intensify, and when you open the container, the banana smell will explode in front of you, and when you sink your teeth into the soft, moist and flavourful muffin, try your best not to grab a second (or third) one, or they will all be gone too soon. 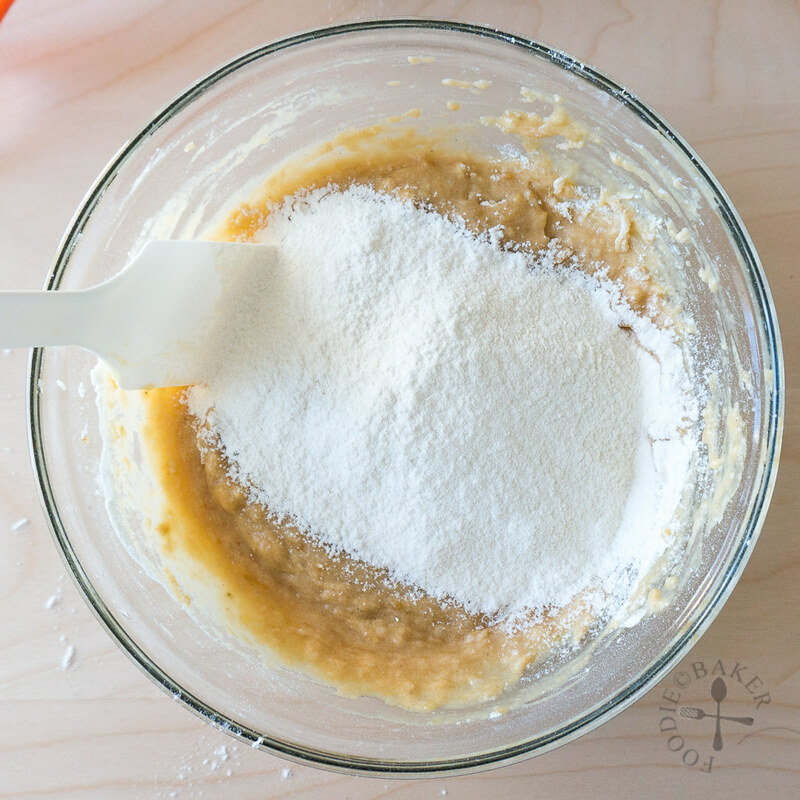 1) Measure buttermilk and vanilla in a mixing bowl. 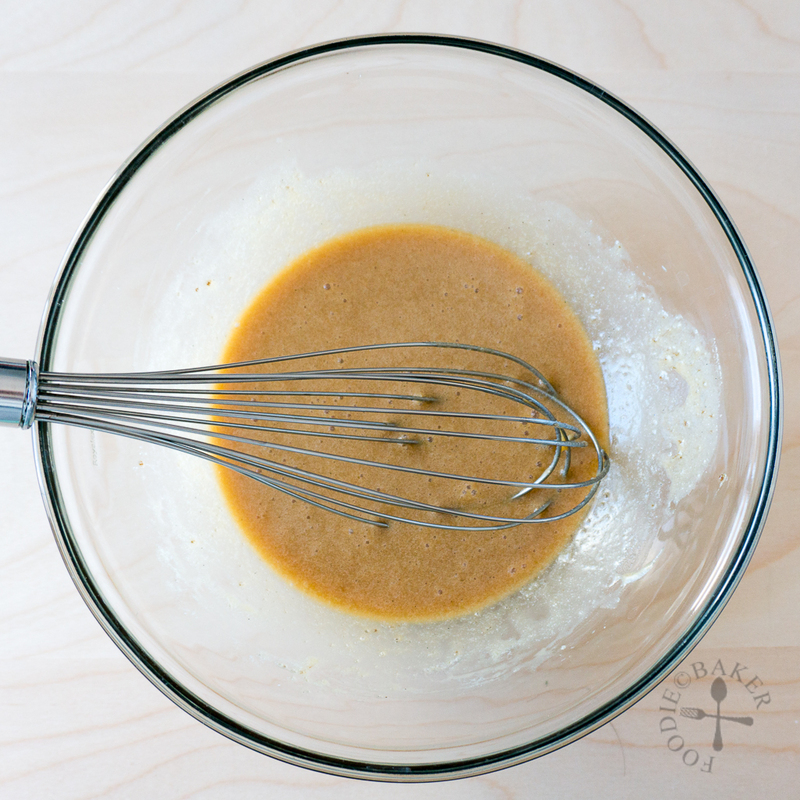 2) Add in melted butter, or vegetable oil. 3) Using a mix of brown and caster sugar today, feel free to just use one type of sugar. 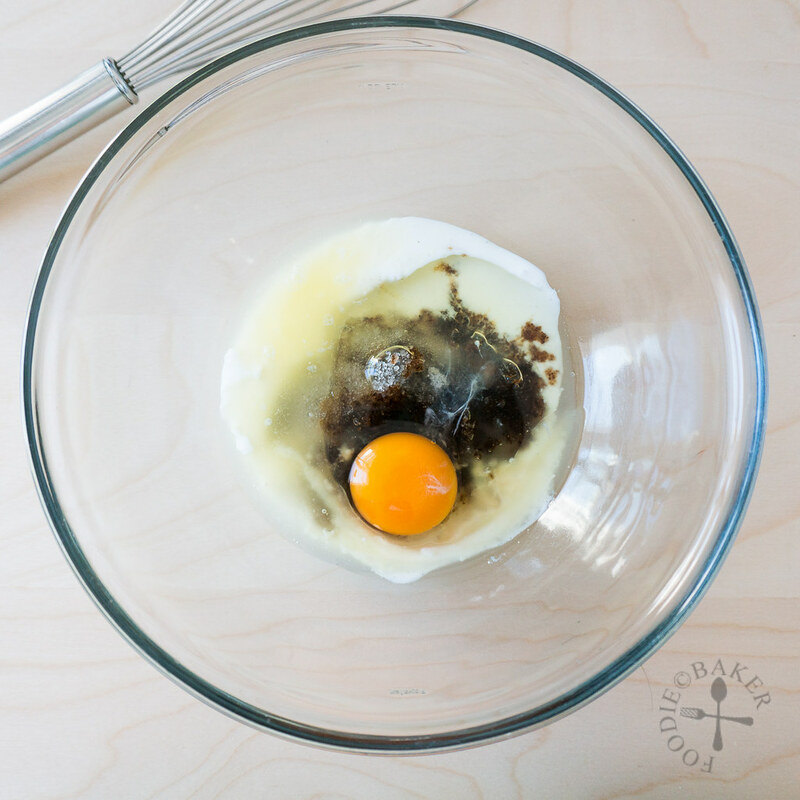 4) Add in an egg to bind everything together. 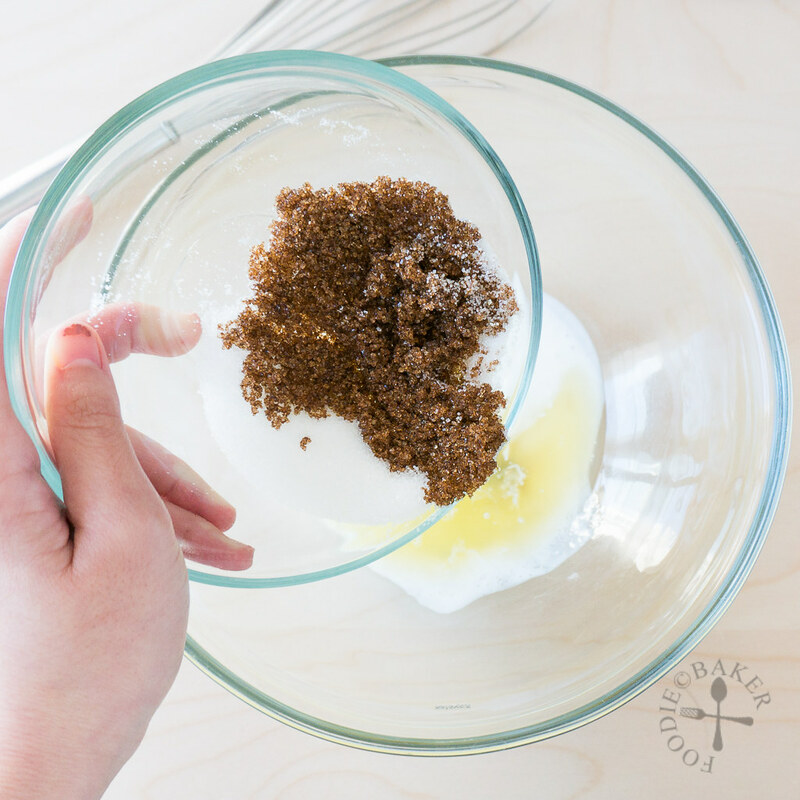 5) Whisk the mixture well. 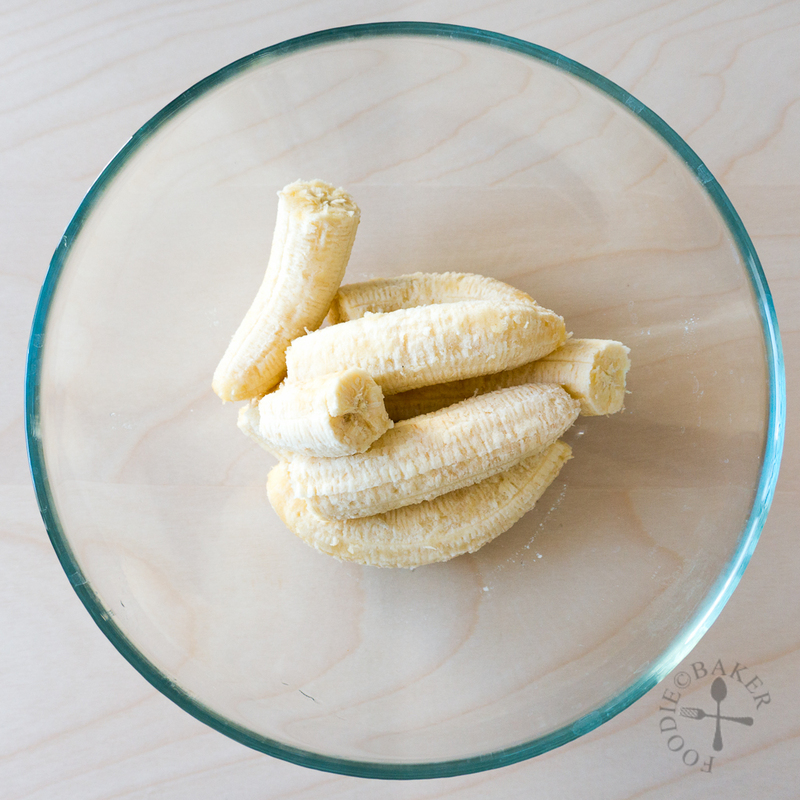 6) Grab some very, very ripe bananas. 7) Mash them well and add into the batter. 8) Sift in the flour mixture. 9) Fold gently until no streaks of flour remain. 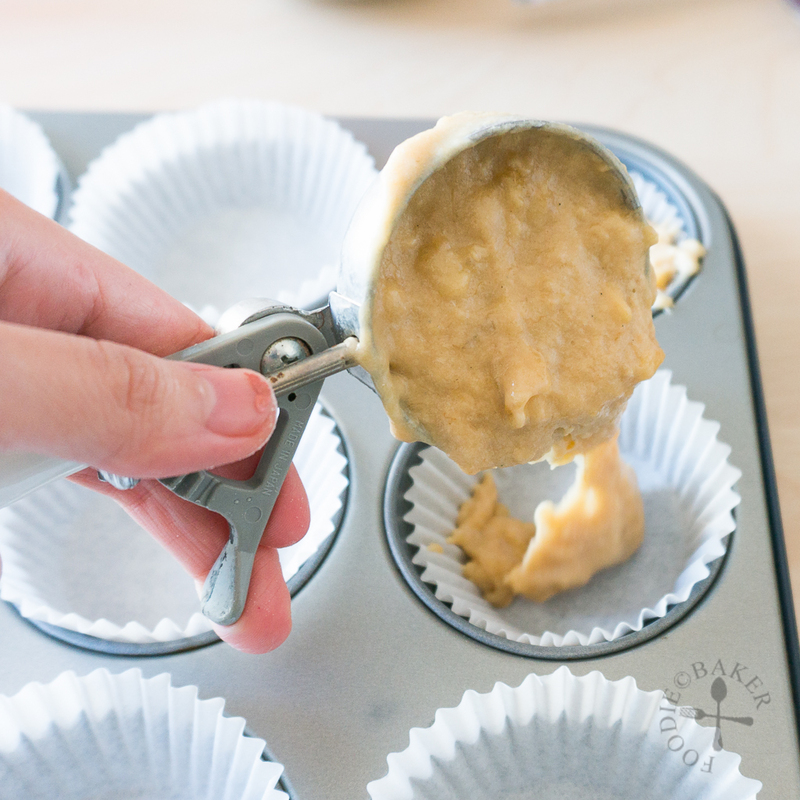 10) Scoop them into muffin tins. 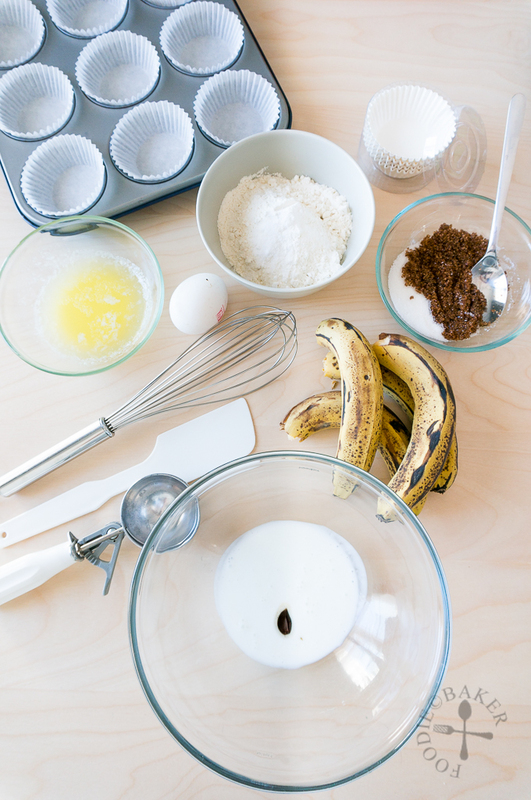 11) Slice some bananas and place it on top of the batter. 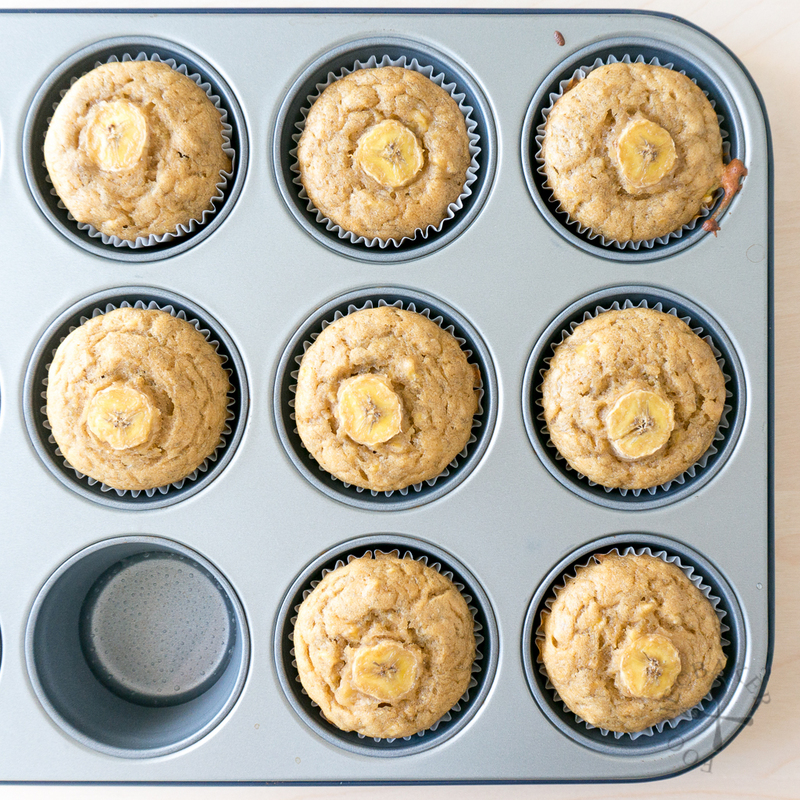 12) Bake the muffins, let cool and store in an air-tight container overnight. Check out more buttermilk recipes here! 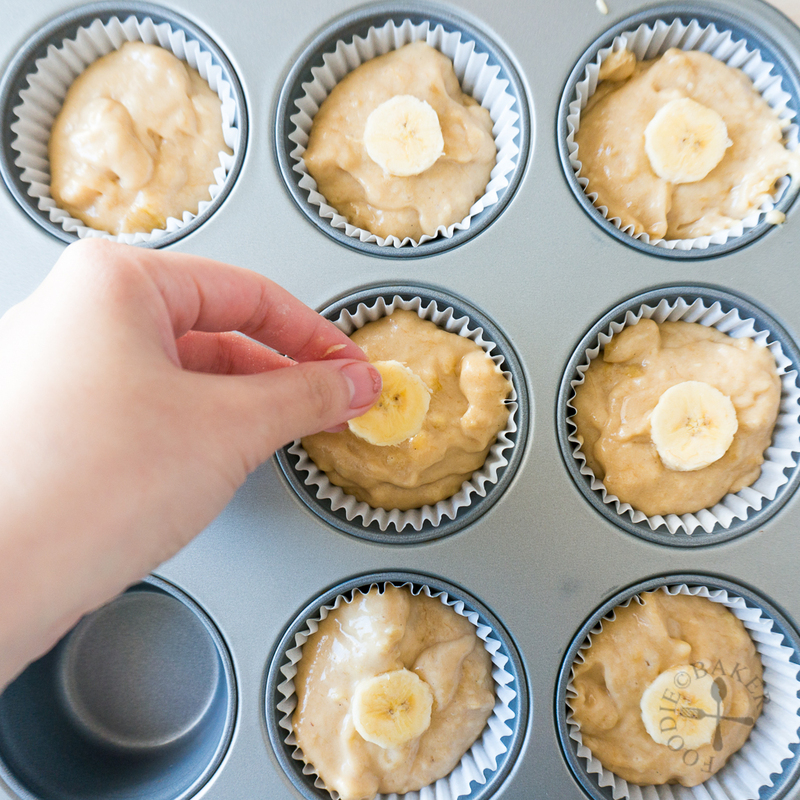 The key is to let the muffins rest overnight so that the banana flavour can develop and intensify. Preheat oven to 175 degrees Celsius (350 degrees Fahrenheit). Line cupcake mould with liners. Set aside. 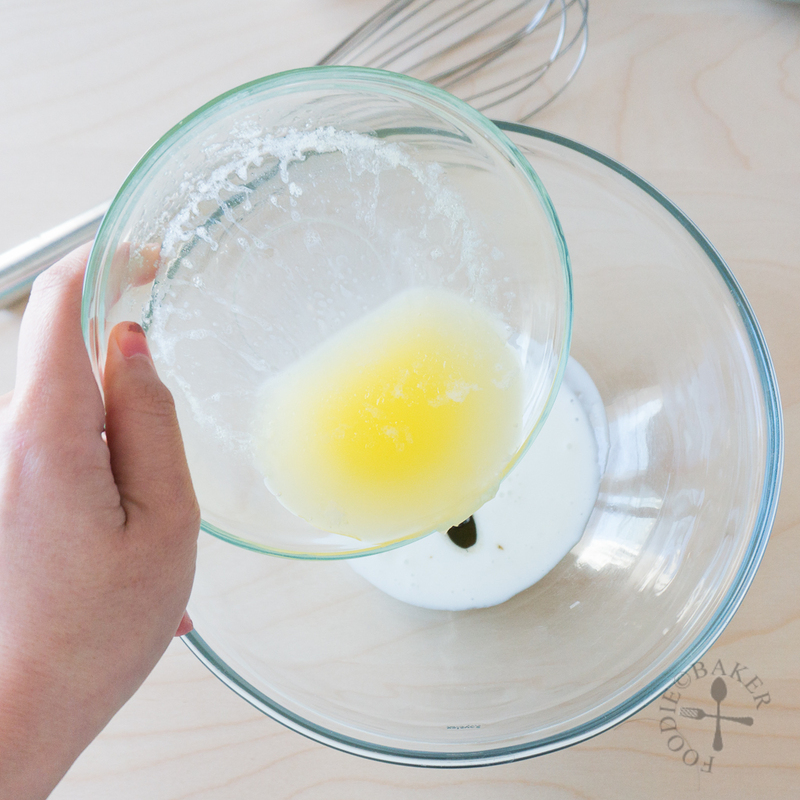 In a large mixing bowl, whisk buttermilk, melted butter (or oil), sugars, egg and vanilla together until well-mixed. 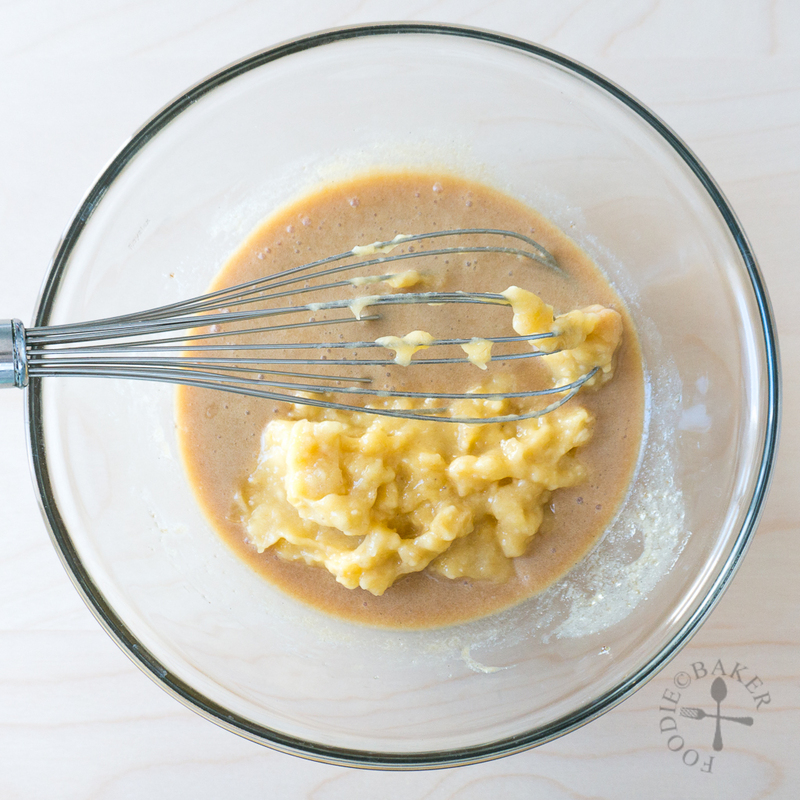 Whisk in the mashed bananas. Full the liners with the batter until ¾ full (usually about ¼-cup full). 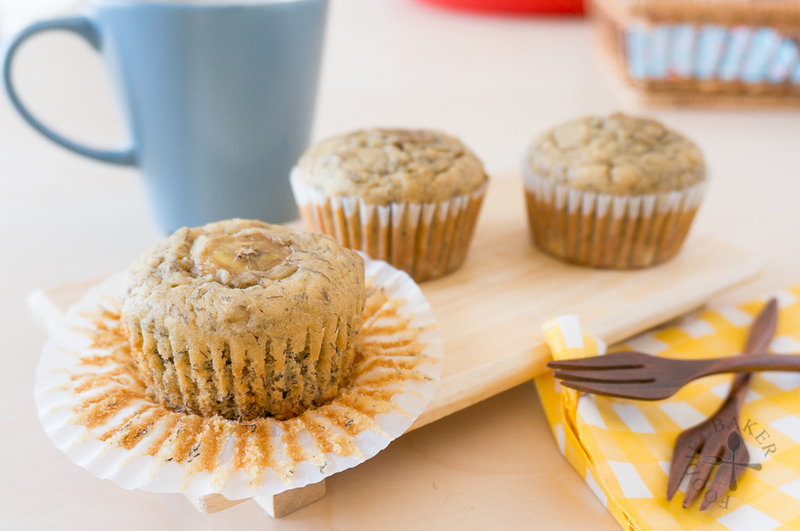 Top with slices of bananas and bake for 17 to 20 minutes until a skewer inserted into the centre of the muffin comes out clean and the top of muffin springs back when lightly touched. Remove the muffin tin and set on a wire rack to cool completely. 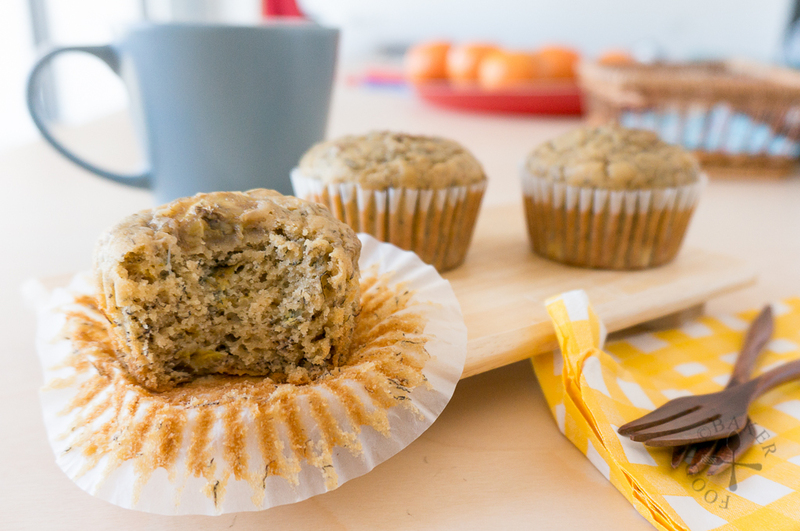 Store the muffins in an air-tight container overnight before serving. - If no buttermilk is available, replace the buttermilk (3 tablespoons) with milk (3 tablespoons) and add in 1 teaspoon white vinegar or lemon juice and proceed as per recipe. I love how moist and delicious they look. Loving your food composition. Just pinned! Thanks Bobbi, you are the greatest, have a lovely week ahead! Hi Liz! It’s so weird that I don’t like bananas on their own but I love when they are in cakes huh? Thank you for your sweet compliments, have a great week ahead! Hi Jasline , the muffins looks deliciously good . Thanks Nee, glad your Aunt is doing well 🙂 Take care! awesome, you always had an easy to do recipe, tempting to try!!! Thanks Dedy, let me know when you’ve tried it! Looks so yummy! Wow, once again I must tell you how impressed I am with you neat food prep shots! I am always in a mess when I work 🙂 Gorgeous photos!